The School of Education’s International Professional Development Schools Consortium (IPDS) recently hosted a group from the Universidad Mayor in Santiago, Chile. Beginning January 23, the cohort of eight education students and their professor stayed in Buffalo visiting schools and campus classrooms. They studied the structure of the United States school system and observed and worked alongside teachers at several schools in Buffalo. They also provided a campus presentation that detailed the Chilean education system and teacher certification process. The group did not let the winter temperatures curb efforts to explore the Queen City and learn about American culture, including visits to Niagara Falls and New York City. 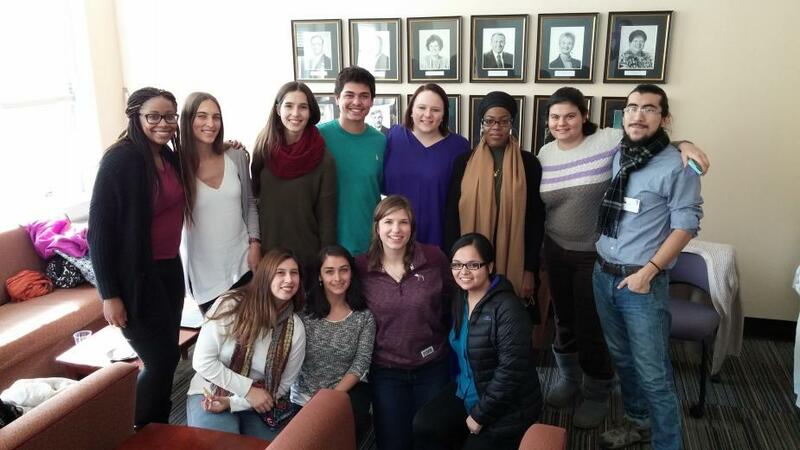 Every other spring semester, the IPDS welcomes young education professionals from Santiago to Buffalo. The visitors work closely with teachers at Herman Badillo on Elmwood Avenue and collaborate with Buffalo State teacher education candidates who will be traveling to Chile at the end of the semester. This May, a group of 10 Buffalo State teacher education students will participate in the IPDS-Chile program, led by Pixita del Prado Hill, professor of elementary education and reading, Angela Patti, assistant professor of exceptional education, and Raquel Schmidt, associate professor of exceptional education. For three weeks the students will work with Universidad Mayor programs partners to expand their knowledge of educational pedagogies and learn about the Chilean education system, engage in intensive Spanish language courses, observe and teach in classrooms, live with host families, and tour Chile to experience local culture and life. When senior Brianna Ware heads to Houston to complete her student teaching in October, she’s buying a one-way ticket. “In Houston, they actually have billboards that say, ‘Do you want to teach? When can you start?’” said Ware. In May, the Houston Independent School District (HISD) had 400 vacancies, and it is just one of several school districts serving the city and its population of more than two million people. To meet the demand, HISD and other school districts including the Aldine Independent School District are encouraging education majors from around the country to visit Houston and its schools. Those visits are personal. “Student interns are invited to participate in a one-week placement in an urban school setting,” Andrew Papke, senior recruiter for HISD, wrote in an e-mail. “They are hosted by district administrators during their visit.” The brief visit introduces the student to the possibility of becoming a teacher in Houston. Students who do their student-teaching in Houston successfully are hired. During the placement, each intern gets hands-on training from a master teacher and, by the end of one week, shifts to being the lead teacher in the classroom. “The student intern is encouraged to be creative and take risks, so they learn it is OK to make mistakes, as this is what makes a good teacher great,” Papke wrote. If you’re the parent of a toddler, you’re probably familiar with UPK. The initials stand for universal pre-kindergarten, an initiative to support high-quality programs to prepare children for kindergarten. Buffalo State offers a bachelor’s program in early childhood education, one of the few teacher-education programs that prepares those who want to work with children aged birth to grade 2 for certification. Kathleen Dust (at left), lecturer in Elementary Education and Reading, is an active member of the early childhood education team. In addition to her own experience as an elementary school teacher, she is a long-time leader in early childhood education. She is vice president of education and staff development at Edukids, where she has been a valued team member since 1989. The New York State Association for the Education of Young Children named her as a 2016 Champion for Children Award winner. The award will be presented at its annual conference in April. A seasoned speaker at state and national conferences, Dust recently shared her expertise as one of 10 experts on early-child education from across New York State. The panel, presented by the School of Education at Buffalo State, focused on the critical issues and challenges of early childhood education. The program also introduced one of Buffalo State’s accelerated 4+1 pathways from undergraduate to graduate degree programs in five years, at which time candidates will be eligible for both early childhood and exceptional education certification for early childhood. A Professional Development School (PDS) houses a collaboration among college faculty, school administrators, and practicing teachers to cooperatively supervise pre-service teachers, provide closer connections to classroom practice, promote professional development for in-service teachers, improve student learning, and research educational practice for school reform. One of the earliest, most comprehensive, and most effective PDS programs in our region is housed at SUNY Buffalo State. Please View the recent article P-20 Partnerships: Relationship Building Really Matters in the Genesee Valley News publication October 2015 Issue featuring Leslie K. Day. By Eileen Buckley • Sep 28, 2015 WBFO's Focus on Education Reporter Eileen Buckley says SUNY Buffalo State continues to provide support to current and future teachers. Brianna Ware, Buffalo State senior, studying to be a teacher. Teachers are often blamed for low student performance in public education.  But as WBFO's Focus on Education Reporter Eileen Buckley tells us SUNY Buffalo State continues to provide support to current and future teachers. "It's a difficult time to be a teacher right now," said Pixita Del Prado, Associate Professor of Elementary Education & Reading at Buffalo State. She is also the Co-Director of the Professional Development School Consortium. Each year the college hosts about 200 K-through-12 teachers, administrators, teacher candidate and college faculty from seven colleges. "To move ourselves in the direction of improvement, so that we improve our own practices where ever we teach. Whether we're in the P-12 classroom, whether we're in the college classroom or whether we direct those programs as administrators," stated Del Prado. Del Prado noted there are many challenges for teachers with much criticism and demands. "Certainly in New York State we are seeing a drop in our numbers of teacher candidates and that's happening all over the country," said Del Prado. "Teachers are desperately needed, particularly in some areas such as working with English learners, working in special education and some of the more content specific areas." The professional development event allows a sharing of how to improve student learning and student well-being. "My big mantra is 'you can't scare me, I'm a teacher'," said Dr. Wendy Paterson, Dean of Education at Buffalo State. Paterson admits there has been a drop in students at Buffalo State seeking elementary education as a profession. "Now the truth of it is Eileen, I've gone from 1,000 undergraduates in elementary education in 2009 -- a thousand -- just in elementary ed, to 500 in four years, so it is having a depressing effect, but the people who still come to us in teaching are the people who know teaching is what they want to do," noted Paterson. "I would just say, maybe not to give up hope," stated Brianna Ware, Buffalo State senior, studying to be a teacher. Ware is very confident in a future teaching career possibly as a Buffalo school teacher. "It has been a serious decline, but that's even more so why I want to do it," said Ware. The college provides 67- teacher education programs. "I guess one of my bigger concerns might be managing a classroom, but as far as the rest, like the state standards -- testing that's out there and our evaluations, I think that there is a lot of support," responded Ware. Jevon Hunter, assistant professor of elementary education and reading at Buffalo State, has been appointed to the college’s prestigious Woods-Beals Endowed Chair in Urban Education. Hunter, a native of Southern California, joined Buffalo State in fall 2010. He brought with him extensive experience in teaching and research into the needs of diverse student populations. “From the time he joined our faculty, we knew we had an extraordinary individual with a passion for working with kids, teachers, and teacher candidates as well as a true connection to the needs of urban schools,” said Wendy Paterson, dean of the School of Education. “Dr. Hunter has proven himself a unique and dynamic colleague, so we were truly grateful that he was interested in applying for this critically important position. The field of scholars in urban education is impressive, but few bring as insightful an understanding to the task of research in practice as does Dr. Hunter. The Woods-Beals chair, established in 2002 thanks to a $1 million donation by the Beals, is one of three endowed chair positions at Buffalo State. The other two are the endowed Andrew W. Mellon Professor in Conservation Science in the Art Conservation Department, funded by the New York-based Mellon Foundation; and the Horace Mann Endowed Chair in Exceptional Education, established by the late Horace Mann, SUNY Distinguished Service Professor Emeritus of Exceptional Education. Hunter began his post-secondary education at Rancho Santiago Community College (currently named Santa Ana College) and earned his bachelor’s degree in English literature from the University of California, Irvine. He completed his Ph.D. in education, curriculum and instruction, and literacy from the Urban Schooling division at the University of California, Los Angeles. Then, as now, he provided outstanding service to the campus, the community, and his profession. Presently, he is a board member of the Health Sciences Charter School in Buffalo, and he serves as a member of its academic committee. In addition, he works closely with students and teachers at the school to stimulate enthusiasm about literacy among students across different academic disciplines. He was a lead author on an article published in the English Journal, “Urban youth use Twitter to transform learning and engagement.” Hunter researched the use of popular technology and social networking sites as a means to help students engage with literature. In 2014, Hunter was awarded a prestigious and highly competitive Ford Foundation Postdoctoral Fellowship. Hunter worked with noted urban education expert Pedro Noguera, the executive director of NYU Steinhardt’s Metropolitan Center for Research on Equity and the Transformation of Schools. In particular, Hunter is interested in understanding and addressing the issues unique to urban school systems in cities that, like Buffalo, were once heavily industrialized. “Buffalo, Rochester, Niagara Falls—these are all cities whose students are affected by a sense of diminished possibilities,” he said. Hunter hopes to establish applied research programs that will connect Buffalo State-based research with students from area school districts both in and out of the City of Buffalo. Amy Marciniak has earned a bachelor of science degree in childhood education, attaining a 3.93 GPA while serving as an elected officer of United Students Government and Buffalo State’s student liaison to the Professional Development Schools Consortium. Marciniak will receive the SUNY Chancellor’s Award for Student Excellence during the 10:00 a.m. baccalaureate ceremony at Buffalo State’s 143rd Commencement, Saturday, May 16, in the Sports Arena. 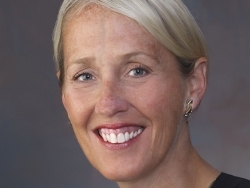 Throughout her career at Buffalo State, Marciniak has distinguished herself by performing above and beyond the increasingly demanding requirements of teacher candidates. Her ability to balance work, participation in campus life, and community volunteer activities is impressive. She consistently demonstrates excellence in the classroom: she is always prepared, actively participates in class, is well read, and is as passionate about learning as she is about teaching. Her commitment to service led her to several leadership posts on campus. She served as co-president of the Elementary Education Club (EEC), leading readings for children at Women and Children’s Hospital of Buffalo, a school-supplies collection for the Waterfront School in Buffalo, and a fund drive for a fellow teacher candidate whose home was lost in a fire. She also participated regularly in the Global Book Hour, a Saturday service opportunity for education and literacy students that offers multicultural reading and activities for local families. She has participated in many other events, such as the Elementary Education and Reading Department’s “Teacher Tailgate” for teacher candidates and college exploration events for bilingual middle schoolers. One of her signature achievements was co-creating the EEC’s “Greater Than Me Network,” a voluntary project that builds strong communities through kindness and positive deeds. She presented information about the network at the Buffalo State Professional Development Schools Consortium retreat in 2013 and the Anne Frank Project conference in 2013 and 2014. She is always willing to be involved—and willing to encourage others to participate as well. 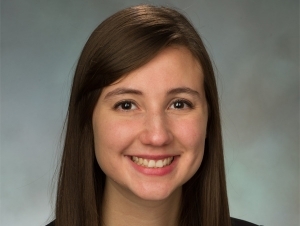 A delightful, intelligent, and compassionate educator and student, Marciniak has earned several honors, including induction into Kappa Delta Pi, the international honor society in education, and the Norma Toelsin Payne Scholarship. Two students from Santiago, Chile, refined their fluency in English in Buffalo this semester, thanks to a partnership between the Universidad Mayor and the International Professional Development Schools Consortium in the School of Education at Buffalo State. Bastián Pfeiffer and Christine Etchart, both in their fifth and final year at the Universidad Mayor, are studying to become teachers of the English language. 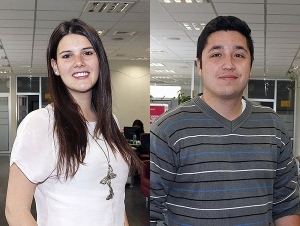 They were awarded a scholarship from Chile’s Ministry of Education to finance a semester abroad. Both students are strongly committed to enabling more students in Chile to learn English. “Only a few people can speak English,” said Etchart. “If you are a doctor or a lawyer, or if you want to work or study abroad, you need English.” She said that the ability to speak English opens up many additional opportunities. Pfeiffer said that he learned most of his English from American popular culture exports such as video games and music. Etchart’s parents sent her to a bilingual school. But despite the fact that they were among the best English speakers in their class in Chile, it was a struggle to understand spoken English when they first arrived in Buffalo. However, Pfeiffer and Etchart both learned to understand English quickly. They are studying methods of teaching English as a second language, and participating in a teaching placement at Herman Badillo Bilingual Academy, which teaches in both Spanish (the language of Chile) and English. Both are also taking Italian, simply because they love learning languages. Etchart is studying Spanish literature; Pfeiffer is taking a course on world music. For Buffalo State senior education major Madeline Otero, a teaching career is not just the sum of its parts—classwork, student teaching, and service-learning projects—but a passion with the underlying goal of making a true difference in children’s lives. An honors graduate of Frontier High School, Otero chose Buffalo State for its personalized education program and numerous hands-on opportunities, which she said have helped her grow not only as a teacher candidate but also as a person. 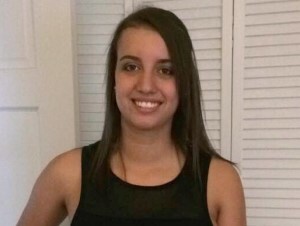 As she prepared for college, she knew the financing was solely up to her. Because she worked hard and landed many scholarships, Otero will have zero student debt when she graduates in May with a dual certification in secondary mathematics and elementary education. Her stellar grades—she carries a 3.96 grade point average—her leadership roles, and her community service projects enabled Otero to qualify for numerous scholarships, including some funded through the college’s annual Faculty and Staff Appeal. While she received the Ross B. Kenzie Family Presidential Scholarship, a $2,300 renewable scholarship awarded to high-achieving undergraduates who demonstrate leadership and community service, Otero still needed to work part-time at a local restaurant and apply for other scholarships to cover her expenses. She received the Pano Georgiadis, Hazel G. Macartney, the College Club of Buffalo, Alpha Sigma Alpha Evelyn Bell, and the classes of 1948 and 1949 scholarships. Along with excelling in the classroom, Otero has played a leadership role on campus. She serves as president of the college’s Elementary Education Club, is a member of education honor society Kappa Delta Pi, and is an advisory council member to the Professional Development Schools (PDS) Consortium. In 2014, she presented research at a national conference on how PDS prepares teachers for urban schools. She said the personal relationships she formed with professors and students in the School of Education makes graduating bittersweet. Crystal Holmes-Smith has earned a bachelor of science degree in childhood education with social studies extension, attaining a 3.14 GPA while working as a Dr. Aaron Podolefsky AmeriCorps Fellow. Ms. Holmes-Smith is a hard-working, dynamic, and intelligent student who demonstrates leadership qualities in the classroom and the community. She is committed to teaching and professional growth and has a genuine interest in student learning. During her teacher-candidate field placement in a fourth grade classroom at Buffalo Public School #76, Ms. Holmes-Smith impressed her supervisor with her use of exciting, creative, and meaningful instructional activities. She quickly emerged as the leader of her teacher-candidate group and showed a classroom presence defined by confidence and caring. Ms. Holmes-Smith also assumed a leadership role in her work with the School of Education’s Global Book Hour, creating age-appropriate readings and activities for older children. To enhance the experience for children and families attending this community-based program, she often led her Buffalo State Step Expression dance team to perform and teach dance steps to audience members. Her work with Global Book Hour led to her field research on the benefits of reading to children. She was awarded an Undergraduate Summer Research Fellowship to study this topic and has presented her findings at the National Association of Professional Development Schools Conference, Anne Frank Project, Buffalo State Professional Development School’s Consortium Annual Retreat, and the Buffalo State Student Research and Creativity Celebration. As an AmeriCorps volunteer, she worked at Buffalo State’s Community Academic center, providing homework help and leading literacy activities in the after-school program. She also spent Fridays at West Buffalo Charter School providing literacy enrichment for four different grade levels. Above all, Ms. Holmes-Smith is a kind, considerate, passionate, and compassionate person. Her peers and supervisors have the utmost respect for her. The West Side of Buffalo offers teacher candidates a positive outreach into the international community and insights into our global world! Under the tutelage of Buffalo State faculty and staff, service learning initiatives have been available for many years in the West Side Community. Mary C. Cummings, a lecturer in the Department of Elementary Education and Reading, has been responsible for many of these outreach programs and initiatives. One example of her work with refugees was supported by a grant for FLY, Focus Learning for Youth on the West Side. She has used the Xcel Leadership center for many years as a site for service learning classes. In addition, Ms. Cummings has service learning partners in the West Buffalo Charter School where teacher candidates tutor second language learners. Teacher candidates also have opportunities to work in the CAC afterschool programs and the re-vitalized Xcelr8 afterschool programs. The West Side provides rich and varied learning experiences for Buffalo State students. EXE and EER Teacher Candidates developed and implemented a morning event that included a panel, interactive stations, and a final performance.